Cover Style: Cloqué; belts and shoes by Miu Miu; black bra, La Perla. 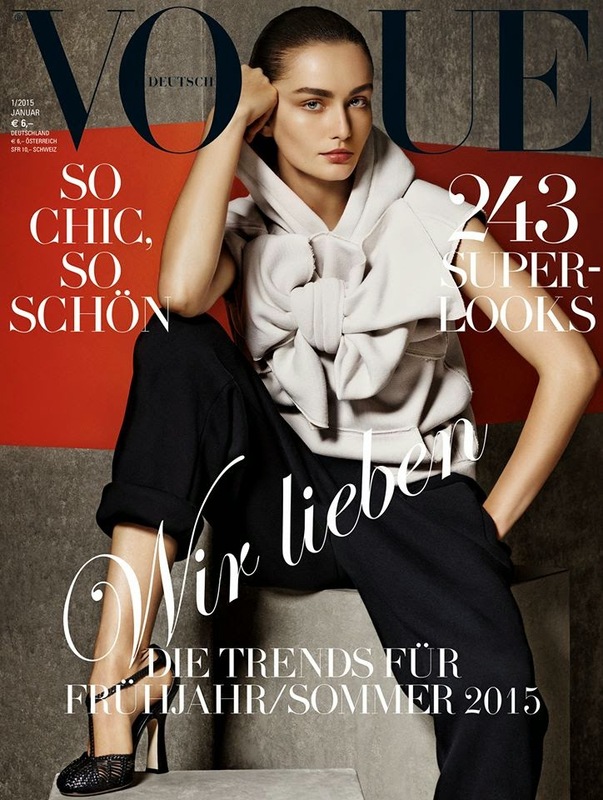 Cover Note: Vogue Germany celebrates the new year with 3 covers for its January 2015 issue. Estonian model Karmen Pedaru, Romania's Andreea Diaconu and American Hilary Rhoda don looks from Cloqué, Bottega Veneta and Haider Ackerman on covers lensed by Giampaolo Sgura.